In the United States, approximately 1 in 25 children are considered medically complex. The number of children with complex health care needs is expected to double in the next decade, as advances in technology and medicine reduce mortality rates. These children typically require care by one or more pediatric specialists, as well as access to services beyond the health care system. 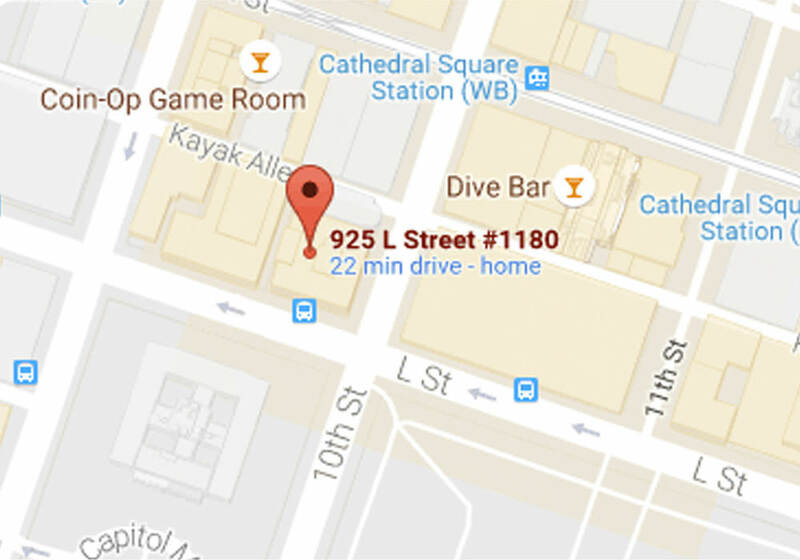 In California, nearly 200,000 children are enrolled in the California Children’s Services (CCS) Program, which serves children with complex health care needs. According to researchers at Stanford University’s Center for Policy, Outcomes and Prevention, 65 percent of children in CCS are Black or Hispanic, and 67 percent qualify for Medi-Cal. It is imperative that we work to ensure access to pediatric subspecialty care here in California. According to a survey conducted in 2013, 34 percent of California’s families with children with special health care needs reported difficulty accessing care. Access to medical care is a multidimensional concept involving affordability, timeliness, geographic proximity and cultural sensitivity. Multiple studies have demonstrated a shortage in certain pediatric subspecialties including anesthesiology, gastroenterology, neurology, and radiology. More pediatricians, out of school, are opting for general practice or hospitalists track due to postgraduate debt, and amount of training time and cost in lost salary to become a pediatric subspecialist. 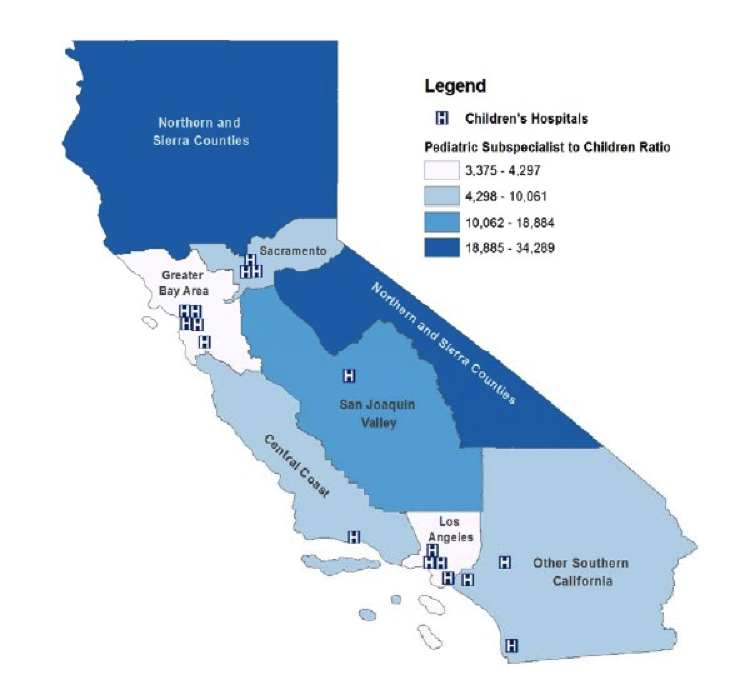 In California, pediatric subspecialty care delivery is regionalized to have appropriate patient volume, and allow for optimal specialization by condition. However, access to and utilization of pediatric subspecialty care and facilities are also adversely impacted by the uneven distribution of providers and potentially the availability of specialty care facilities. Most children’s hospitals are concentrated in more densely populated areas, leaving the Central Valley and rural north with lower concentrations of specialists. The majority of children with complex health care needs, are children of color and are more likely to be lower in socioeconomic status. Access to and utilization of care, are exacerbated by socioeconomic and racial differences. Language barriers can also decrease access to care, by impeding patient understanding, and potentially decrease patient’s adherence to treatment. 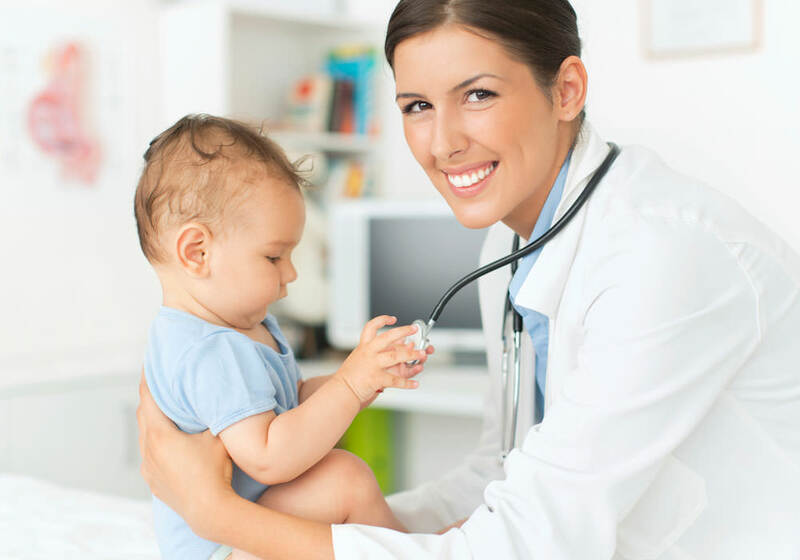 Access to pediatric subspecialty care can be affected by poor communication between the referring general pediatrician and pediatric subspecialist. Communication is crucial in making appropriate referrals. Inconsistencies in availability of electronic health records, little to no reimbursement for care coordination, and lack of time are factors that may impede timely and appropriate referrals to a subspecialist. Poorly structured payment mechanisms and low reimbursement rates. There are several financial and structural barriers in fee for service (FFS) that limit opportunities to incentivize providers to use lower cost settings. Additionally, low physician payment rate deters providers from participating in Medicaid. California has one of the lowest Medicaid reimbursement rates in the U.S, ranking 47th out of the 50 states. California Health Care Foundation: Physician Participation in Medi-Cal: Ready for the Enrollment Boom? Bethell C, Zuckerman K, Stumbo S, Gombojav N, Robertson J. Children with Special Health Care Needs in California: a profile of key issues. CAHMI, Lucile Packard Foundation for Children’s Health. Jan. 2013.